The holidays are here! Whether it's crafting with your kids, making tasty Christmas cookies, or having fun out in the snow, we have plenty of ideas for you. We've included some fun new ideas in this issue, so be sure to stop by and visit. This month we've added a few fun new craft projects, especially for the holidays. Dress up your table with our ideas or simply hang out with the kids! Whether it's recipes or parenting advice, we have plenty of great articles for you to explore. Here are some new features we've recently added that we think you'll like! FamilyCorner has been around since 1997, so I'm sure you can imagine we have a lot of great tips, advice, recipes and crafts to offer from days gone by! Here's a few of great ideas from the past our editor picked just for you. Hanukkah: Make Coin Cookies With You Kids! The most recent chef guy awards go to Bilby for Pan Fried Steak wiith Marsala Sauce, Sammi1961 for Shepherd's Stew! Find out more in our forums. From Our Blog - We featured some awesome holiday tips from our forum members on the FC blog. Be sure to subscribe to our blog for more! Looking forward to another great year with you here at FamilyCorner.com! 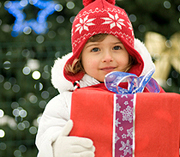 Happy Holidays to you and your from the entire FamilyCorner.com team.